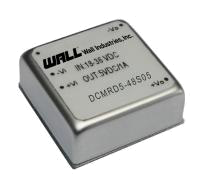 The DCMRD5 series of isolated DC DC converters offers 5 watts of output power in a compact 1” x 1” x 0.4” frame. 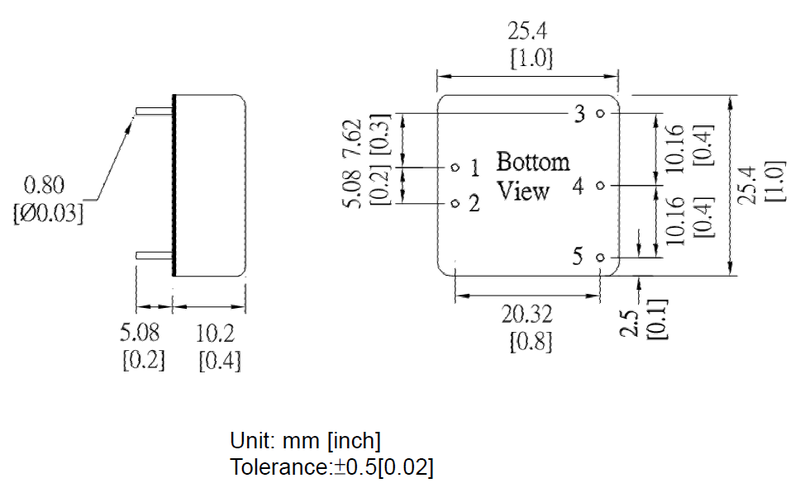 This series consists of single and dual outputs with wide 2:1 input voltage range (9~18V, 18~36V, 36~75V) and output voltages of 5VDC, 12VDC, and ±15VDC. Each model is RoHS compliant and meets IEC/EN60950-1 safety standards. The series is protected against over load, short circuit, and over voltage conditions and has high power density. Notes: (1) Io below this value will not damage these converters, however, they may not meet all listed specification. (2) Typical value, tested at nominal input and full load.